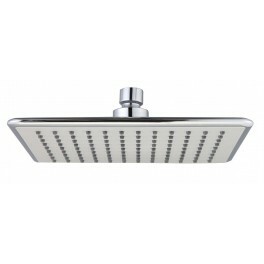 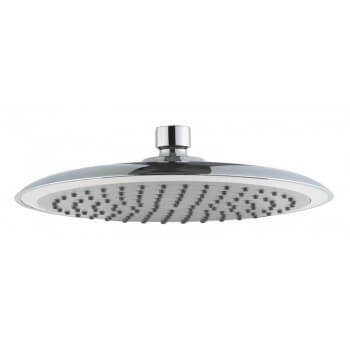 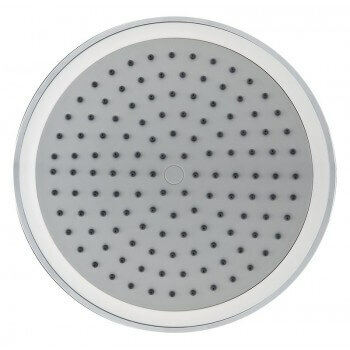 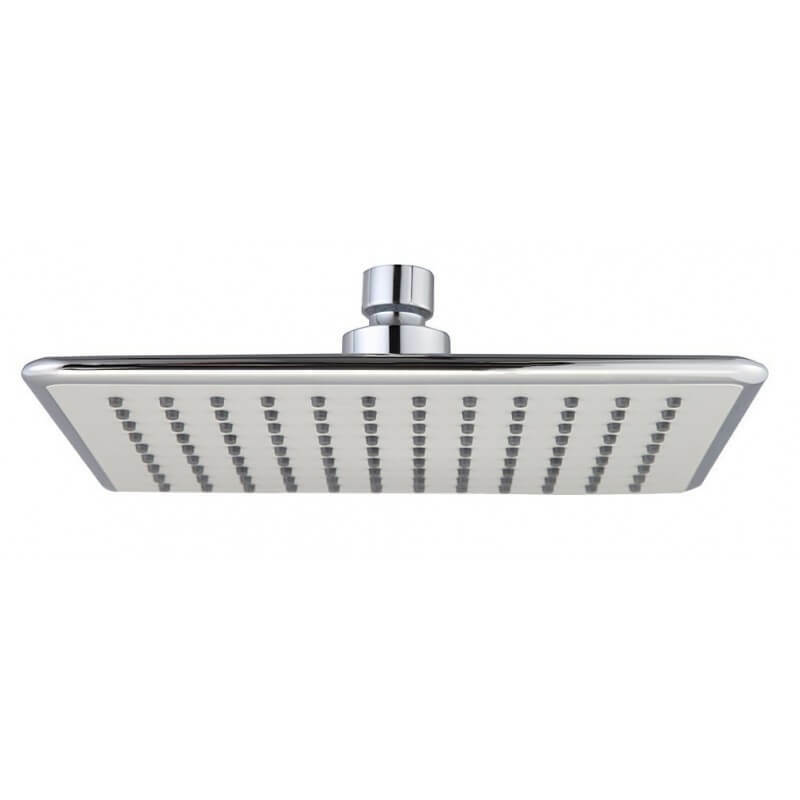 Shower head 20 cm with ABS with pimples anti-scale rubber coating Ultra shape design! 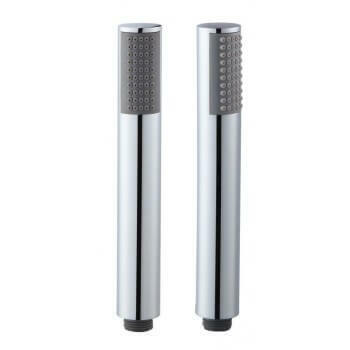 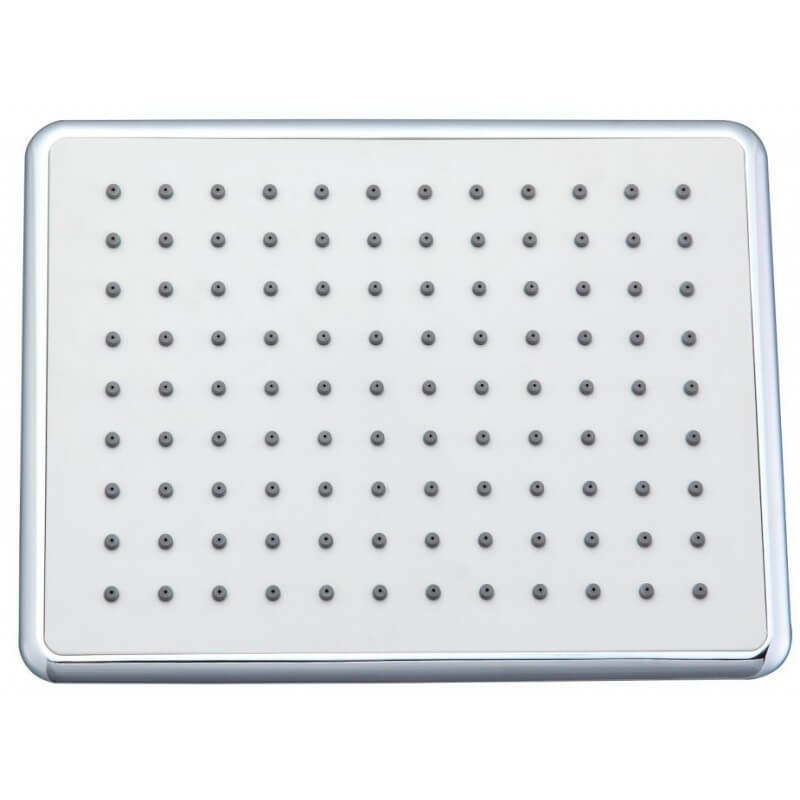 Lining in ABS with pimples anti-scale rubber, chrome finish Ultra shape design! 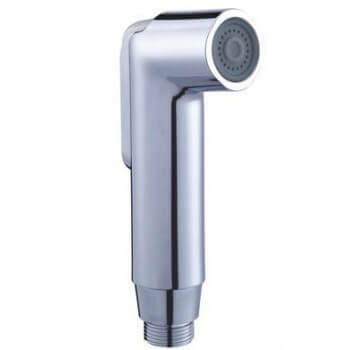 Shower head in Chrome ABS "Headgun"
Model "Head Gun" with lining in ABS chrome for a more sober design and easier maintenance! 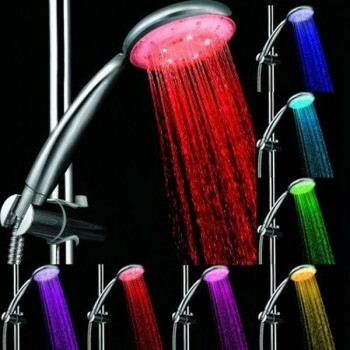 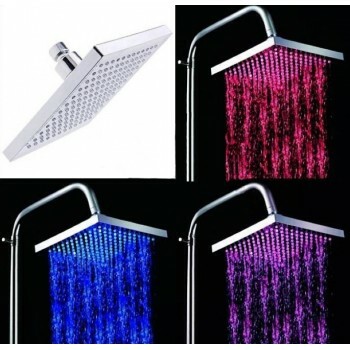 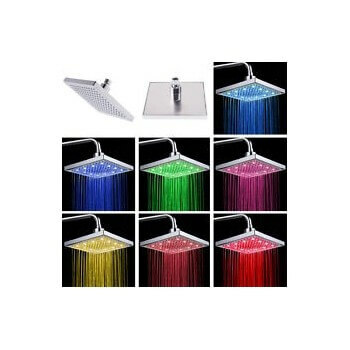 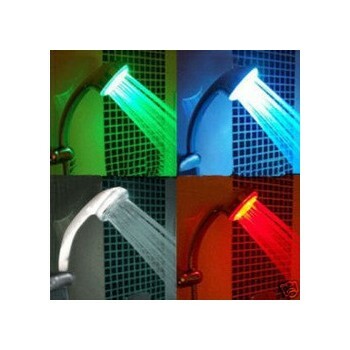 This 7-color LED shower head works without batteries! 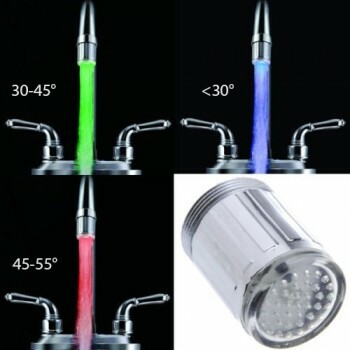 Color scroll automatically Superb chrome finish! 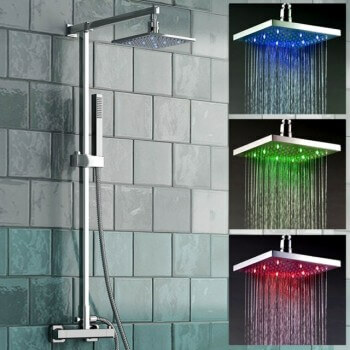 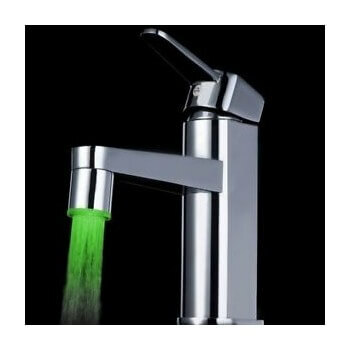 3 colors that change automatically depending on the temperature of water Works without batteries! 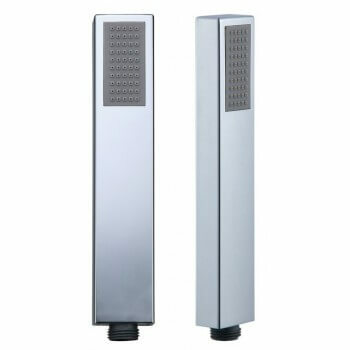 Chrome finish, alliance security and aesthetics!